This article covers the difference and similarities between Tecno Phantom 6 & Tecno Phantom 6 Plus. 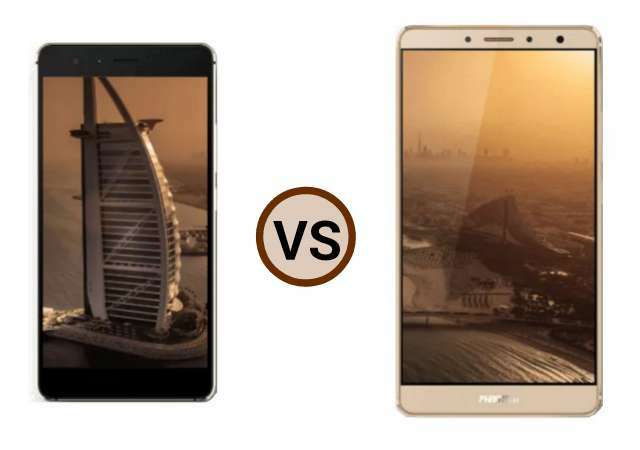 As many have asked actual difference between the two devices, which can be found in the comparison between the two flagship. Both the smartphones feature some great technical specifications and here is a breakdown of how they compare to each other. 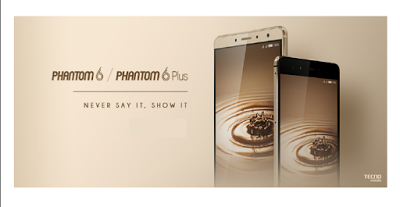 Phantom 6 Plus -> 6.0-inch LTPS display, full-HD (1080x1920 pixels) resolution, 367ppi pixel density. Phantom 6 -> 5.5-inch AMOLED display, full-HD (1920x1080 pixels) resolution, 401ppi pixel density. Note: The first noticeable difference between the two device is their screen size. Both possess AMOLED display and has full-HD resolution, but the 6-inch in Phantom 6 Plus increases its dimensions and weight, this might be negative or positive depending on individuals. For those who prefer something light and easily accessible with one hand, the 6 Plus might be an issue. But as we know, big screen means better gaming and multimedia experience. Phantom 6 -> 64-bit 2.0GHz octa-core MediaTek Helio P10 processor, Mali-T860 GPU; 3GB of RAM. Phantom 6 Plus -> 2.0GHz deca-core MediaTek Helio X20 processor, Mali-T880 GPU; 4GB of RAM. Note: The Phantom 6 Plus makes a big impression in this aspect because of high-end chipset it packs inside. The Helio P10 in Phantom 6 is great we can't deny, but then, we can't compare the power of octa-core with deca-core, the margin is wide. The RAM speaks for themselves in figure. To simply put, 4-1=3, that missing "1" in Phantom 6 will make Phantom 6 Plus more better in multitasking. We dimension of the tecno devices are impressive with the phantom 6 151.5 X 75.5 X6.15mm while phantom 6 plus stands at 160.35 X 83.46 X 7.7mm. Phantom 6 -> 13-megapixel rear camera with autofocus and Sony IMX258 sensor; secondary 5-megapixel rear camera, LED flash; 8-megapixel front camera, wide-angle lens, LED flash. Phantom 6 Plus -> 21-megapixel rear camera with Sony IMX230 sensor, dual-LED flash; 8-megapixel front camera with *LED flash (* not confirmed). Note: Tecno is playing a convincing game here judging by different camera architecture both device comes with. Dual rear cameras setup is a new technology that most latest high-end smartphones are boasting of as at now and seeing Tecno heading in same direction with Phantom 6 is amazing. In most cases, the secondary rear camera is use to sense the depth field of an object before the photo is taking, thereby leading to a clearer non-blurring shot. But then, instead of also including this feature with Phantom 6 Plus the firm has decided to up its megapixel to 23MP and enhanced the camera performance with Sony IMX230 sensor. The IMX230 is not the highest in its series, but it will definitively do a great job in bringing the reality out of a captured photograph. For now, besides the noticeable distance in their megapixels we can't decide which is best until we try them out. So watch out.